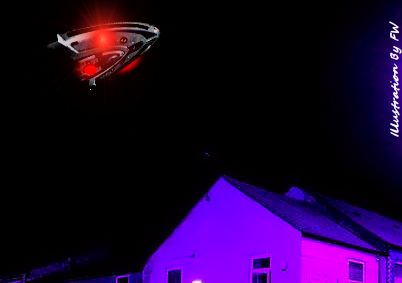 A strange aircraft spotted moving slowly and loudly across the night sky in Cannock has sparked UFO frenzy. Hundreds of householders took to social media after first hearing a loud drone, then spotting the massive object move slowly over their homes. Many believe that there is a very earthly explanation for a Close Encounter that has the community buzzing. Locals in the Staffordshire town believe they saw a secret military protoype, possibly from a US aircraft carrier currently stationed off Portsmouth. And the British UFO Research Association has not discounted claims that a drone might be behind the rash of reports. The area has been a UFO hotbed since the early 1980s, but last week’s incident is the biggest in terms of the sheer volume of sightings. . . .
UFO Crash at Cannock Chase? UFO NEWS | UK | Did UFO land on Cannock Chase in Roswell style incident? "A Potential UFO Sighting in the Chase Area"